Exclusively Ours! An Allan Robin Design. 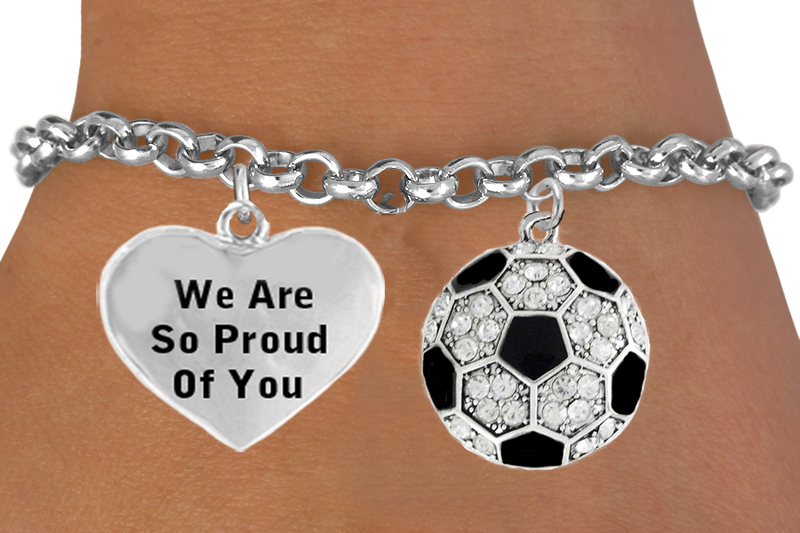 Our Bracelet And Charms Comply With All Laws, Lead, Nickel, & Cadmium Free!! 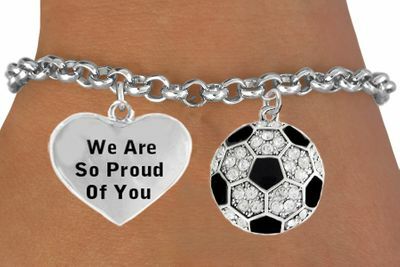 Detailed Antiqued Silver Tone And Genuine Austrian Crystal Covered "Soccerball" & "We Are So Proud Of You" Heart Charm. You May Add To The Right Of The Softball Another Charm Of Your Choice, See Below.